Guys, I’m on the hunt for a new watch. Something classic and that will go with everything. 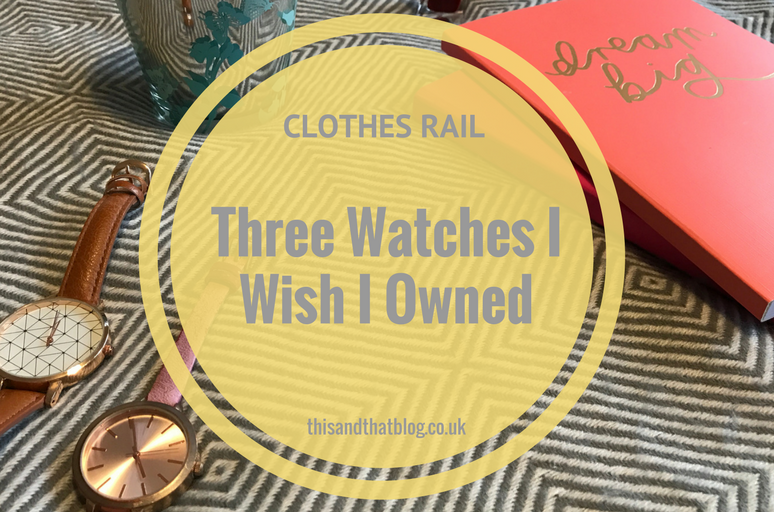 Unsurprisingly there’s a load of awesome watches out there, but today I wanted to share the three watches I wish I owned. The watches that I would interchanges on a daily basis if money were no object (sadly I was not last week’s Euromillions winner – I wish!). But first up, let’s discuss my history with the watch – fun topics over here, always! It might just be me, but as soon as I hit my late twenties I became obsessed with watches. It was as if a light bulb moment happened and I was all adulty and in need of a classic timepiece. Prior to that my watch thoughts were minimal. I had a lovely silver one from Fossil that I received on a significant birthday, my 18th maybe?) and I wore it for what I dubbed ‘special occassions’. Other than those special occassions my watch game was non-existence, I was all about my phone as a timepiece. But with my late-twenties I became obsessed with getting a new watch every six months or so. It became a habit to browse the ASOS sale now and again and pick up a watch in the sale. There’s nothing with the watches, in fact I still use one of them regularly, but they just weren’t that exciting. Each watch was nice and cheap, maybe £15 maximum and had a simple face and a coloured strap. In hindsight I should have gone for a decent watch and not gone all magpie like every six months or so.Which is where I now am, I need to buy myself a new watch and I’m researching the hell out of this purchase – I will not regret it this time. The three watches I’m choosing between. This watch is the sort that past me, the person that’s not focused on the ‘Buy Less, Choose Well’ wardrobe philosophy, would have been all over – once it went into the sale of course. It’s classic, has a thing strap and would go with most things and work for work or everyday outfits. Asos’s watch game really is brilliant. 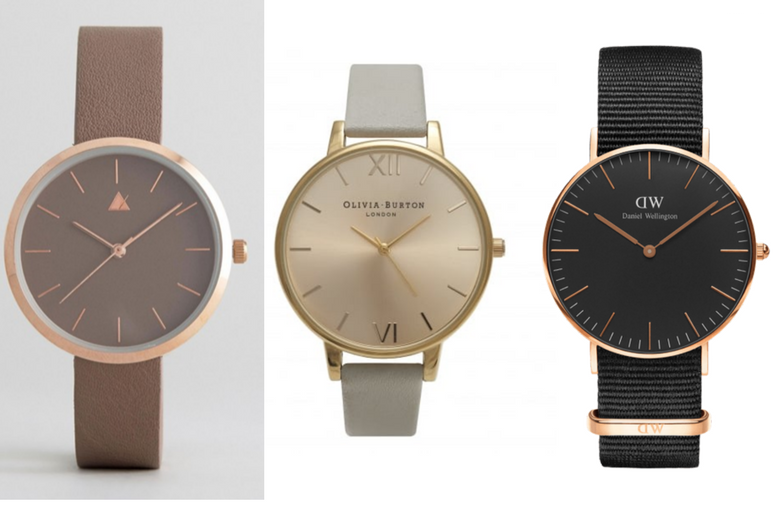 Quite a lot of people I know have Oliver Burton watches and they’re all gorgeous. They also seem to last for a long time battery wise, not quite so long strap wise, which is a bit annoying. But at least there are loads of new strap options, there’s nothing worse than not being able to replace a watch strap. I’m lusting over this grey and gold watch thanks to the gorgeous colour combo and the big dial – perfect. This one is the dream watch, and top of the list of watches I wish I owned. I love the black face and the fact that there are lines for all the minutes in an hour rather than any numbers. And that rose gold colour is just beautiful. I also like that the strap doesn’t look like it’d wear as quickly as the others would. So there we go, the watches I want to own. I’m going to continue pondering them all for a few weeks and then add one to my birthday list – April 12th if you’re asking! Which watch do you all prefer?